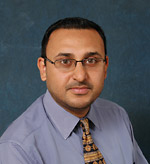 University of Pittsburgh School of Medicine reports the creation of a new Multidisciplinary Liver Center under the leadership of Satdarshan (Paul) Singh Monga, MD, a McGowan Institute for Regenerative Medicine faculty member. In combination with UPMC’s longstanding commitment to state-of-the-art clinical care for patients with an array of liver diseases, the School of Medicine is leading novel translational and basic research in many aspects of hepatic pathobiology. Building on these existing strengths, the mission of the Liver Center will be to promote transdisciplinary research in Hepatology with a focus on liver development, growth, metabolism, injury, and repair with the expressed goal of improving the health of patients with liver disease. The Liver Center will provide a platform to enhance, enrich, and synergize scientific interactions and collaborations between various investigators in the field of liver pathobiology that are currently residing in diverse departments. The Liver Center will provide mentoring and career development opportunities, especially to early career investigators studying liver health and disease. Dr. Monga is Vice Chair and Division Chief of Experimental Pathology in the Department of Pathology and Professor of Medicine in the Division of Gastroenterology, Hepatology and Nutrition. He serves as Assistant Dean and Co-Director of the Medical Scientist Training Program at the School of Medicine. He leads the Division of Experimental Pathology, which is currently composed of 20 full-time faculty. He is a member of the American Association of Clinical Investigators and has received many awards in mentoring as well as in research, including the Outstanding Investigator Award from the American Society of Investigative Pathology (ASIP). He has served in key leadership roles at the ASIP, the American Association of Study of Liver Diseases and other societies. He is the current Editor-in-Chief of Current Pathobiology Reports and of Gene Expression: The Journal of Basic Liver Research and Associate Editor for the Journal of Hepatology, American Journal of Pathology, JCI Insights, Seminars in Liver Diseases and Annual Reviews of Pathology. Dr. Monga is an internationally recognized leader in the field of liver pathobiology with more than 90 original research publications. His work has characterized the role of Wnt/b-catenin signaling in the processes of liver regeneration and hepatic tumors, like hepatocellular cancer and hepatoblastoma, and in hepatic development. This work forms the basis for a modulating role of b-catenin signaling in liver regeneration, end stage liver disease, and in the setting of liver transplantation. Dr. Monga has been continuously funded by the NIH since 2003 and is currently PI on four R01 awards and two corporate research agreements with Abbvie and Dicerna. He is also the director of an NIH-funded predoctoral training program (T32), entitled Cellular Approaches to Tissue Engineering and Regeneration (CATER), at the McGowan Institute.